RHTT (Robotic Human Type Targets) | SimIS, Inc. 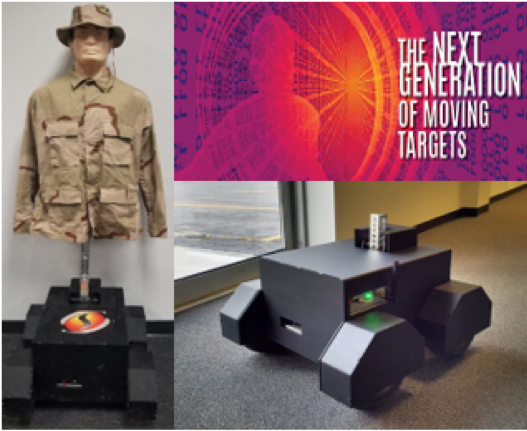 The RHTT system is a mobile, trackless smart target that provides more realistic moving training targets. RHTT isn’t constrained to certain parts of the range and is deployable in a wide range of operating environments and terrain. The system is autonomous, featuring the ability to preprogram scenarios with technology to capture data such LOMAH for both instant feedback to the trainee as well as AAR built in.